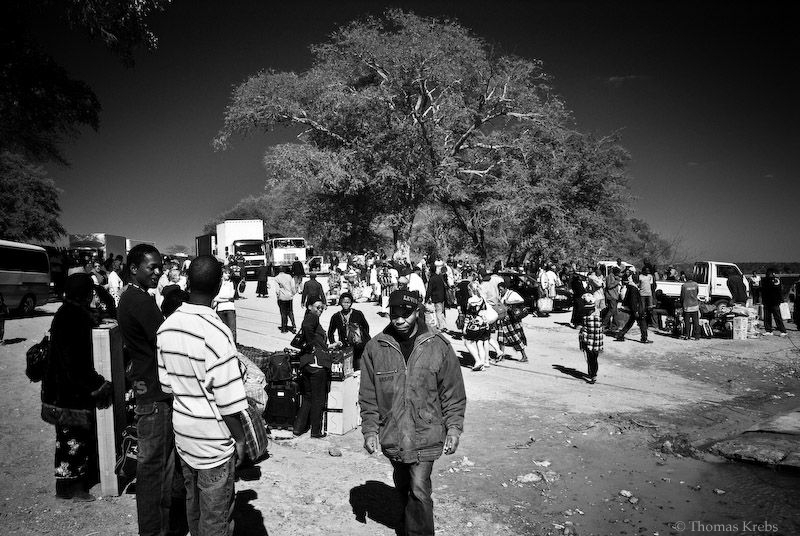 This was taken at the border between Zambia and Botswana, on the Botswana side. People were waiting for the ferry over the Zambesi river. Nice b&w conversion!!!! Well done. Seems to be quite the busy place. I like the contrast. Tom .. großes Kino .. starke b&w Umwandlung .. gerade der Himmel .. hat so einen Infrarot touch .. wirklich klasse und beeindruckend! !